​We had an incredible experience working with Rialto Mobile. Tim and his team provided us with a clear outline of the process, they made sure to clearly understand our expectations and they delivered a website that we are extremely proud of. Questions were answered in a timely manner and updates have occurred as soon as we submit them. We are looking to do another site with them now. ​I was approached by Tim Fitzpatrick at Rialto Mobile after he noticed our company’s website online. I had known our website was in need of an overhaul for some time. The idea of figuring out what expertise we needed, finding the right designer and programmer, and getting the process going was overwhelming to me and so I had been putting it off. Tim agreed with me that there was plenty of room for improvement and assured me he could make the process simple and painless. Tim and his team helped me by making the process very clear and laying out a step-by-step plan of what they would do, and what I would need to do, to get the task accomplished. Then, they followed through with that plan and the predetermined timeline. They were extremely flexible and available anytime I had questions or last-minute changes. The result is a vastly improved website that offers the world a far better representation of our business and helps us do our job more effectively. The fact that they include hosting service along with their web design really helps streamline our whole experience and eliminates management headaches for me. 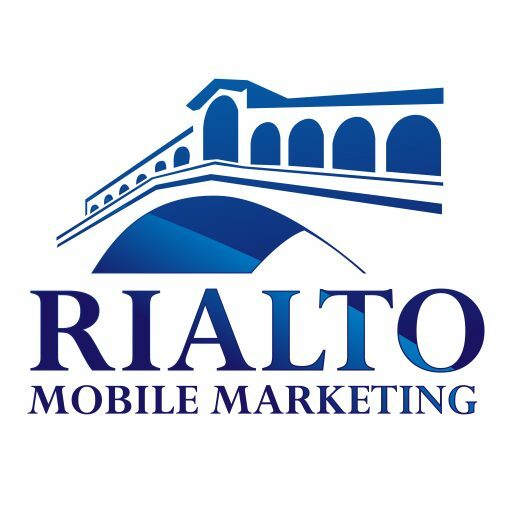 I would recommend Rialto Mobile to people who need guidance and simple instruction when it comes to website design and management. The product they produced is attractive, user friendly, and offers our company a great tool to communicate with our target audience. "I was approached by Tim Fitzpatrick at Rialto Mobile after he noticed our company’s website online. I had known our website was in need of an overhaul for some time. The idea of figuring out what expertise we needed, finding the right designer and programmer, and getting the process going was overwhelming to me and so I had been putting it off. Tim agreed with me that there was plenty of room for improvement and assured me he could make the process simple and painless. I would recommend Rialto Mobile to people who need guidance and simple instruction when it comes to website design and management. The product they produced is attractive, user friendly, and offers our company a great tool to communicate with our target audience." ​Since we have brought the Rialto Mobile App in our system we have seen the benefits of this efficient way of communication. It has helped us streamline our existing methods of communication to students, parents, and community. The Rialto team took a look at what we were already doing and helped us put together a layout and menu that is user friendly and purposeful for our constituents. I highly recommend this method and Rialto Mobile! ​Working with the Rialto Mobile team has made getting an app into the hands of my community extremely easy. Their customer service from start to finish is outstanding and they deliver what they promise on time. The design team has created a beautiful and useful product for us! Parents, students and staff have all become dependent upon the app. Bell schedules, sports schedules, contact information and even setting up counseling appointments are all right at their fingertips. My entire community is thrilled with the new level of communication and accessibility. Working with the Rialto Mobile team has made getting an app into the hands of my community extremely easy. Their customer service from start to finish is outstanding and they deliver what they promise on time. The design team has created a beautiful and useful product for us! ​The App is now one of the BEST communication tools we use. Parents are able to access daily announcements, calendars, and can find who to call all in one spot. We have received great feedback from all stakeholders and will continue to keep the App going for a long time! The push notifications keep our kids and their families informed of the most up to date information. We have had higher attendance at events, more parent involvement, and also better lines of communication. It was such an easy process to get started and has been easy to maintain! The App has such a cool and sleek look and I love that it was customizable to my school! The App is now one of the BEST communication tools we use. Parents are able to access daily announcements, calendars, and can find who to call all in one spot. We have received great feedback from all stakeholders and will continue to keep the App going for a long time! The push notifications keep our kids and their families informed of the most up to date information. We have had higher attendance at events, more parent involvement, and also better lines of communication. It was such an easy process to get started and has been easy to maintain! The App has such a cool and sleek look and I love that it was customizable to my school! ​We love our new app through Rialto Mobile! It is easily accessible and has the information parents most need at their fingertips. Stott is a 1:1 iPad school so a mobile app made sense to our families. Communication and connection to the school is so important to parents during their busy weeks. Having a mobile app for push notifications, weekly Principal news, and school contacts makes life easier to manage. We love our new app through Rialto Mobile! It is easily accessible and has the information parents most need at their fingertips. Stott is a 1:1 iPad school so a mobile app made sense to our families. Communication and connection to the school is so important to parents during their busy weeks. Having a mobile app for push notifications, weekly Principal news, and school contacts makes life easier to manage. ​Our mobile app was an immediate hit at CV. We had almost half our parents download the app within the first week. At our parent advisory meeting, several parents commented on how helpful the app was in keeping up to date with the events at school. In addition, the information provided helped these parents stay connected with teachers and staff. This type of communication tool was preferable to email or phone calls. This is a powerful and effective tool for schools. Our mobile app was an immediate hit at CV. We had almost half our parents download the app within the first week. At our parent advisory meeting, several parents commented on how helpful the app was in keeping up to date with the events at school. In addition, the information provided helped these parents stay connected with teachers and staff. This type of communication tool was preferable to email or phone calls. This is a powerful and effective tool for schools. ​In today's fast moving society, it is important to have the information you need right at your fingertips! Tim and his team at Rialto Mobile have created an app that allows us to communicate real time information to our parents and acts as an informational hub. As we rolled out the app to the community, we were able to take the feedback and make modifications to the app to ensure that we are meeting the needs of the Sand Creek Community! We are always finding new ways to use the app! In today's fast moving society, it is important to have the information you need right at your fingertips! Tim and his team at Rialto Mobile have created an app that allows us to communicate real time information to our parents and acts as an informational hub. As we rolled out the app to the community, we were able to take the feedback and make modifications to the app to ensure that we are meeting the needs of the Sand Creek Community! We are always finding new ways to use the app! ​Castle Rock Middle School has had an amazing experience working with Rialto Mobile. Our app is user friendly, visually and aesthetically pleasing and has been such a powerful communication tool for us this year. Using the app for push notifications such as snow days and spirit nights has proved to be really powerful and valuable. Rialto Mobile is incredibly responsive and has helped us with any request we have pitched at them. This is a superb product with a ton of resources and support. Castle Rock Middle School has had an amazing experience working with Rialto Mobile. Our app is user friendly, visually and aesthetically pleasing and has been such a powerful communication tool for us this year. Using the app for push notifications such as snow days and spirit nights has proved to be really powerful and valuable. Rialto Mobile is incredibly responsive and has helped us with any request we have pitched at them. This is a superb product with a ton of resources and support. ​The mobile app is a central component of Pine Creek’s communication system and feedback from our parents and students has been overwhelmingly positive. Parents, students, and staff love the convenience, ease-of-use, and professional appearance. We’ve brought together our website, student resources, newsletters, push messaging, staff directory, and more in one place. Working with Tim Fitzpatrick and Rialto to develop our app could not have gone more smoothly. At each step of the process, Rialto was responsive and supportive, and the ongoing support has been equally impressive. This mobile app is a must-have for schools looking for ways to improve communication with the larger school community. The mobile app is a central component of Pine Creek’s communication system and feedback from our parents and students has been overwhelmingly positive. Parents, students, and staff love the convenience, ease-of-use, and professional appearance. We’ve brought together our website, student resources, newsletters, push messaging, staff directory, and more in one place. Working with Tim Fitzpatrick and Rialto to develop our app could not have gone more smoothly. At each step of the process, Rialto was responsive and supportive, and the ongoing support has been equally impressive. This mobile app is a must-have for schools looking for ways to improve communication with the larger school community. ​As a school principal, I have found that you need to communicate with your parents and community through every avenue possible. When looking at our systems of communication last year, we realized we were missing one important component - a mobile app. Adding this missing piece to our communication system was simple with Rialto Mobile. Tim Fitzpatrick met with us to understand our needs, designed an app based on the information we wanted to communicate, and has provided quick, responsive service since the launch. I would highly recommend any school looking to add a professional, informative mobile app to contact Rialto Mobile! As a school principal, I have found that you need to communicate with your parents and community through every avenue possible. When looking at our systems of communication last year, we realized we were missing one important component - a mobile app. Adding this missing piece to our communication system was simple with Rialto Mobile. Tim Fitzpatrick met with us to understand our needs, designed an app based on the information we wanted to communicate, and has provided quick, responsive service since the launch. I would highly recommend any school looking to add a professional, informative mobile app to contact Rialto Mobile! ​I just have to say what a wonderful resource our app is for our community! All our school information is literally at the fingertips of the parents and students of our school...Use of the app has reduced phone calls to the office and the feedback from our parents has been overwhelmingly positive. I just have to say what a wonderful resource our app is for our community! All our school information is literally at the fingertips of the parents and students of our school...Use of the app has reduced phone calls to the office and the feedback from our parents has been overwhelmingly positive. ​In today's society it is important to be able to reach people in multiple ways, through multiple formats. Rialto Mobile has enabled us to expand our communication and outreach. Not only for what is going on at the school, but there is some peace of mind when you know you can deliver information in a timely manner. In today's society it is important to be able to reach people in multiple ways, through multiple formats. Rialto Mobile has enabled us to expand our communication and outreach. Not only for what is going on at the school, but there is some peace of mind when you know you can deliver information in a timely manner. ​Rialto Mobile, and Tim Fitzpatrick in particular, have been amazing! They made the creation of our app, with tons of comprehensive information a breeze to put together! The process was very streamlined from the beginning. They provided all the training and made marketing milestones for the app easy to accomplish! Our parents, students, and staff love using it! After the roll-out of our app, there were a few additional suggestions from parents and there was always a quick turn around for completion of these updates! Many families tell me they love the instant notifications no matter where they are! Thanks Tim and Rialto Mobile! We'd highly recommend you to all schools who value the importance of convenient communication! Rialto Mobile, and Tim Fitzpatrick in particular, have been amazing! They made the creation of our app, with tons of comprehensive information a breeze to put together! The process was very streamlined from the beginning. They provided all the training and made marketing milestones for the app easy to accomplish! Our parents, students, and staff love using it! After the roll-out of our app, there were a few additional suggestions from parents and there was always a quick turn around for completion of these updates! Many families tell me they love the instant notifications no matter where they are! Thanks Tim and Rialto Mobile! We'd highly recommend you to all schools who value the importance of convenient communication! ​Our new mobile app has brought content from our website to smartphones which is where the majority of our school community spends it's "screen time." Rialto Mobile has been an ideal partner in personalizing our app to fit our school's needs and providing us with creative ways to keep the content fresh with minimal maintenance. Our new mobile app has brought content from our website to smartphones which is where the majority of our school community spends it's "screen time." Rialto Mobile has been an ideal partner in personalizing our app to fit our school's needs and providing us with creative ways to keep the content fresh with minimal maintenance. ​Rialto Mobile helped our school create a mobile app that is well created, organized, and functional. The response from our stakeholders has been overwhelming with positive feedback. We use it for urgent push notifications, as a portal for easy access to important information about our school and access to highly visited sites and services. Parents have access to monthly newsletters, pay for lunch and the school calendar of events right at their finger tips. The creation of our mobile app was seamless and easy with the strong support from Rialto Mobile as they worked with us and created something that we could actually use. Rialto Mobile helped our school create a mobile app that is well created, organized, and functional. The response from our stakeholders has been overwhelming with positive feedback. We use it for urgent push notifications, as a portal for easy access to important information about our school and access to highly visited sites and services. Parents have access to monthly newsletters, pay for lunch and the school calendar of events right at their finger tips. The creation of our mobile app was seamless and easy with the strong support from Rialto Mobile as they worked with us and created something that we could actually use. ​Our mobile application has opened up a new channel of communication for us to further engage our stakeholders. Being able to reach people whenever and wherever they are with the latest information about Sagewood has improved our communication efforts. Rialto Mobile delivered on their promise to us. Our mobile application has opened up a new channel of communication for us to further engage our stakeholders. Being able to reach people whenever and wherever they are with the latest information about Sagewood has improved our communication efforts. Rialto Mobile delivered on their promise to us. ​The ThunderRidge app has become one of our most valued communication tools as our community now has ThunderRidge information at the tip of their fingers. I particularly like the push notifications, especially in emergency situations, as students, parents, and staff receive immediate notification in an emergency. The ThunderRidge app has become one of our most valued communication tools as our community now has ThunderRidge information at the tip of their fingers. I particularly like the push notifications, especially in emergency situations, as students, parents, and staff receive immediate notification in an emergency. ​I love this App! Thank you for having everything all in one place!! "I love this App! Thank you for having everything all in one place!!" ​LOVE the new app!!! Weather delays/dismissals are so much easier with it!! Instant communication! LOVE the new app!!! Weather delays/dismissals are so much easier with it!! Instant communication! ​This app rocks! Tons of easily accessible information. Super job! This app rocks! Tons of easily accessible information. Super job!"